Benjamin White provides ESH&S leadership and support to the Eastern U.S. region of ITT Corp.'s Water and Wastewater division, which includes 15 service workshops and repair facilities. His responsibilities include corporate auditing, due diligence and environmental management activities for property transactions. Additionally Mr. White is involved in the Department of Transportation compliance program for a fleet of more than 250 company vehicles and service trucks. He works closely with the various business units to identify, evaluate and coordinate strategic opportunities to reduce environmental impacts, protect people and support public policy and regulatory strategies. Prior to joining the company in 2007, Mr. White was the EHS and Human Resources Manager for another ITT division with responsibility for seven different operations worldwide that manufactured valves and process flow control components for the industrial, nuclear and biopharmaceutical market. 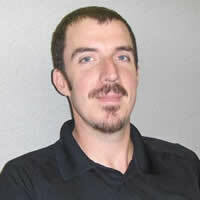 He has bachelor's degrees in Safety and Environmental Management from Slippery Rock University of Pennsylvania.